Chaga Mushroom is a fungi that grows on birch trees in very cold climates. It is one of the most potent antioxidants around and by far the most powerful antioxident of the mushroom world. Chaga is also the most nutrient-rich of all medicinal mushrooms and is rich in polysaccharides, minerals, flavonoids, alkalines, B vitamins, phyto-nutrients, enzymes, phenols, organic acids and many important minerals and micro-elements such as magnesium, zinc, calcium, magnesium and chromium. 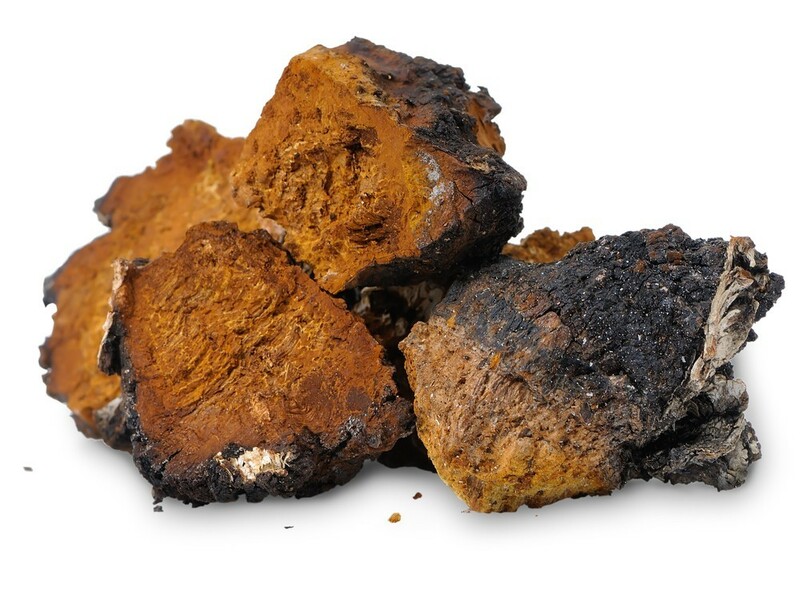 Chaga is mostly black and brown because it produces large amounts of Melanin. Melanin helps protect DNA and fights radiation by activating the pineal gland. The chemicals found in this mushroom extract help stimulate the growth and production of Melanin in the body, and helps to add health and nourishment to the hair, skin and eyes, helping you look younger and more vibrant with age. Chaga Mushrooms have the slightest hint of vanilla taste to them and are great when mixed with water, tea and smoothies. From Siberian secret to today’s growing popular mushroom of choice, modern studies have shown that this mushroom extract can be extremely beneficial for the digestive system. Because of its immune boosting and anti-inflammatory abilities, Chaga Mushroom has traditionally been used to support intestinal health and treat ulcers. Scientists have noticed that in areas where people regularly consume Chaga, problems connected with the gastrointestinal tract are almost absent. Many people in Siberia who take Chaga daily have been known to live long and healthy lives, some into there hundreds! Chaga also contains beneficial and important constituents for digestion, including digestive enzymes, thiamin, and manganese. The betulinic acid and phytosterols found in chaga extract may help get rid of parasites and bacteria that dwell in the digestive system, that may help contribute to ulcers. Like many medicinal mushrooms, Chaga is rich in polysacharides and beta-glucans which help balance the response of the immune system. This means that Chaga helps regulate the immune system. Clearly, having the immune system well regulated helps with many health issues like stomach inflammation and ulcers. Most ulcers are caused by bacteria, so a well-functioning immune system will be able to deal with this problem. WHAT IS ORAC? AND WHY DOES ORAC SCORE MATTER? Oxidative stress caused by free radicals, has been demonstrated to accelerate the aging process in both cells and blood vessels. Oxidative stress increases the risk of many health problems. 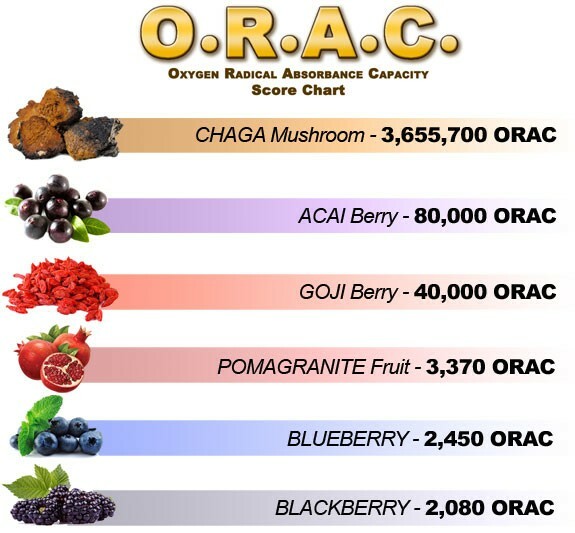 HOW DOES CHAGA MUSHROOM COMPARE ON THE ORAC SCALE? For many years now, researchers have discovered that Superoxide Dismutase (SOD) is the body’s most powerful natural antioxidant enzyme that plays a critical role in reducing the oxidative damage and inflammation. Chaga Mushroom has 25-50 times more Superoxide Dismutase (SOD) Enzyme than CoEnzyme 10 (CoQ10), popular juices, vitamins, barley grass, beta carotene, seaweeds, fish oils, essential oils, Reishi, Truffles, Maitake, Cordyceps, Agaricus any other mushrooms. How Long Should I Take Chaga Mushroom? 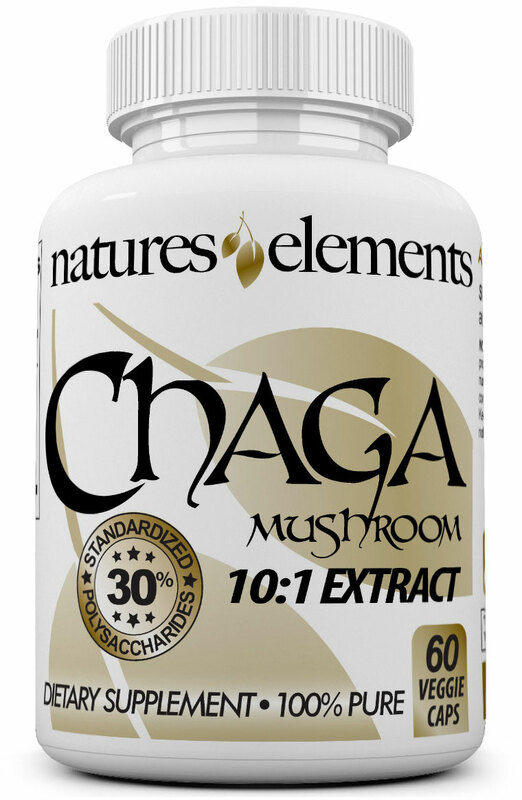 Chaga Mushroom is taken daily with two small easy to swallow capsules. 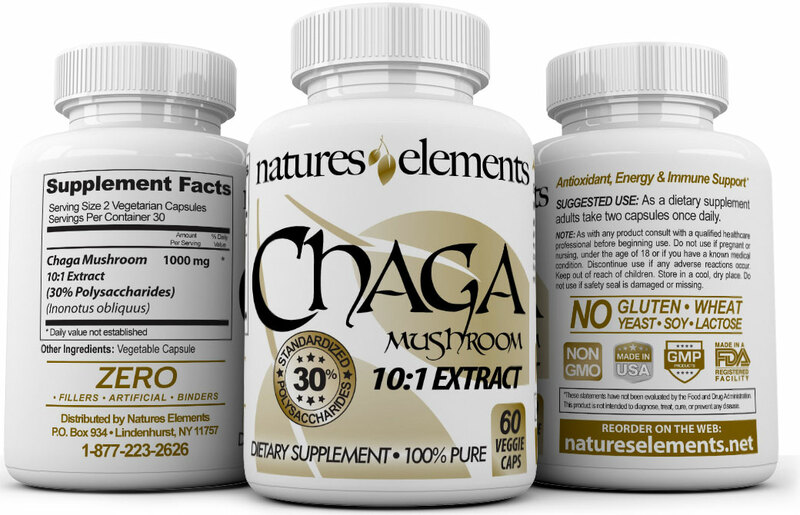 Each bottle of Chaga Mushroom Extract Capsules contain a 1-month supply. Although Chaga Extract may work quicker from one individual to the next, we recommend you use it on a daily basis for the recommended period of time. After consistent use for at least 3 months, you should begin to see and feel results. You may achieve continued results the longer you are on the product. Be sure to order an ample supply. Natural medicine is designed to create a holistic balance within the body and can take time to propagate through your system. Be patient stick with it...you’ll be glad you did!